Mobile trolley carts provide durable and customizable portable steel workstations for every industry. With modular components, you can easily equip the carts with multiple accessories such as bins, pegboards, cabinets, or a combination of solutions. The carts are also great for improving ergonomics and productivity. Since the carts have so many components to choose from, you can easily adjust it to your specific needs for a more comfortable and safer working environment. With a standard cart frame, you can equip hanging bins, pegboards, cabinets, tilting shelves, and more. You can even use a combination of components to create multi-use storage. There are many opportunities for injury in the work environment. This is compounded when employees have to lift, bend, and carry potentially heavy items. Additionally, these factors also increase the risk of employees dropping an item, potentially causing damage. The mobile trolley carts are a simple and effective solution that keeps everything stored in one place and is easily transported where it’s needed. 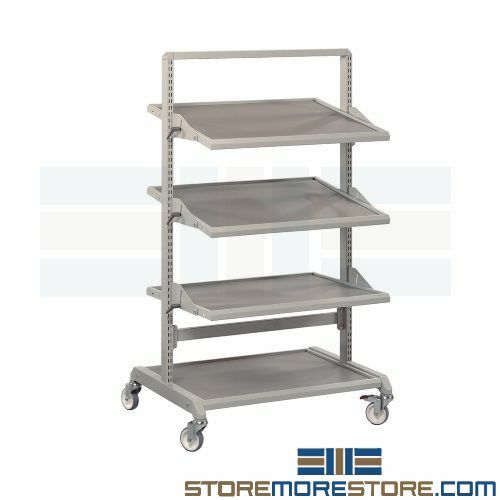 Modular cart frames provide flexibility. 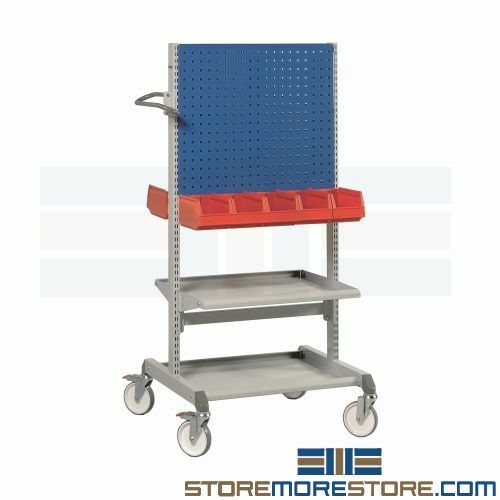 Easily equip the carts with shelves, bins, cabinets, pegboards, and more. Mobile trolley carts are available to buy online with free dock-to-dock shipping. If you need any assistance or just want some help picking the right solution for you, please call us at 1-855-786-7667.